"Roswell Slides" BUSTED! 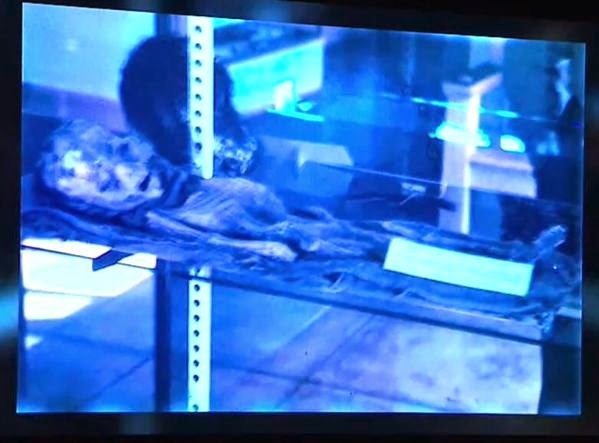 - "MUMMIFIED BODY OF TWO YEAR OLD BOY"
Even as the excitement has been building over the unveiling of the so-called "Roswell Slides" in Mexico City on May 5, a group calling itself the Roswell Slides Research Group has been quietly investigating them. This was, of course, difficult to do, given that the slides had never been released, and never publicly shown. Only a very low-resolution version of each slide had leaked out, enough to fuel speculation about it but without enough detail to really investigate. "MUMMIFIED BODY OF TWO YEAR OLD BOY"
Last line: Xxxxxed by the X.I. Xxxxxx, San Francisco, California. Researcher Ted Molczan suggests that the first word on the last line is "Donated," and the word before "San Francisco" is "Museum," which is very likely correct. Speaking of the Roswell Slides Research Group, Molczan makes the observation, "You folks solved in no more than 2-3 days what the promoters claimed not to have been able to solve in 3 years!" The Smart Deblur program has been available at least since 2012, so there is no reason that the "Roswell Slides" promoters could not have done the same thing long ago. They, after all, had the high-resolution scans all along. But one suspects that the promoters did not want to find out what really was on the slides - that would have destroyed its presumed commercial value. Proving, beyond a shadow of any doubt, that everyone on the team promoting the "Roswell Slides" is either a scoundrel, a fool, or both. image that was shown in Mexico City! Shortly after the deciphered placard was posted by Curt Collins, and people began asking exactly where did it come from - was it authentic? - the slides owner Adam Dew posted an image of the blurred placard on his site. Apparently he was trying to "come clean" about the placard that Maussan had blanked out, to minimize the damage to his own reputation. The Great "Roswell Slides" Extravaganza - Social Media Pans It! I was unwilling to drop any money into the coffers of the scoundrels hyping the bogus "Roswell Slides" in Mexico City. Jaime Maussan, promoter of the event, is notorious for his promotion of bogus photos and videos of UFOs, alien creatures, and other absurdities, such as a photo of a flying horse. The website for the Mexican UFO research group Alcione.org (in Spanish) lists "more than 40 frauds" that Maussan has promoted. However, being curious to see what was happening, I followed the event on Twitter, #RoswellSlides. It occurred to me that the best way to describe the event would be to simply share some of the comments being made by those watching it. One of the slides, from Twitter. Probably the sign reads something like, "Dead alien from Zeta Reticuli. Don't tell anyone about this! It's Top Secret!" @SpatzieLover posted many good comments and photos describing the show. Former Apollo astronaut Edgar Mitchell, a promised speaker, was a no-show. 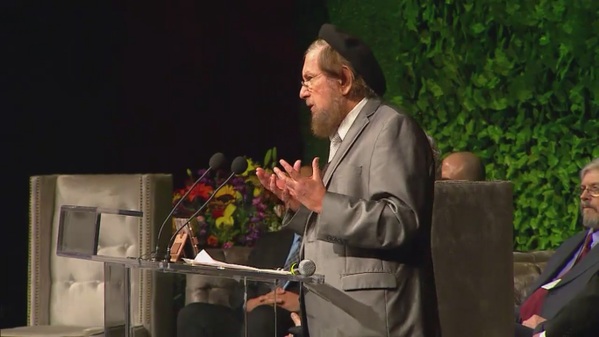 He appeared via video link, saying that his age of 84 made it difficult to travel. "They didn't resemble none of us...they appear quite strange" Details of #ETs from vet. Short & hairless. comment, "Two con men hard at work simply repeating the same tall tales they have been telling for decades." 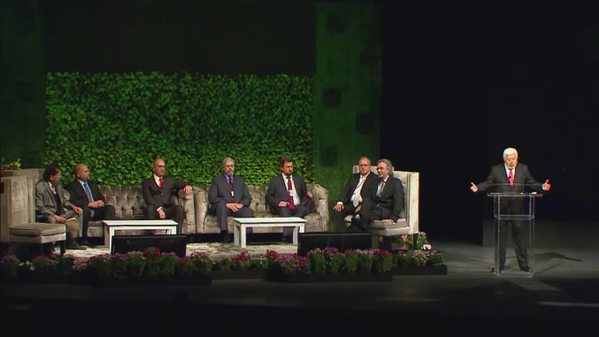 "Dolan not doing his credability any good by sharing a stage with known liars." 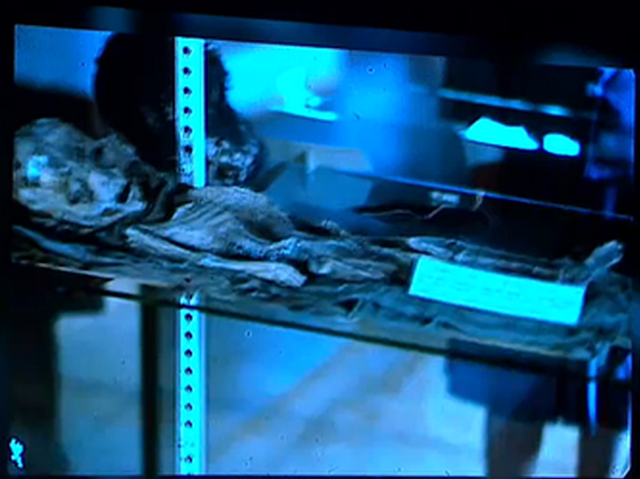 #roswellslides A photo of a child mummy, an #epicfail NOT a smoking gun. Shame on ufologists that was on THIS. i feel so sorry for anybody that payed good money to see #Roswellslides can't believe @RichDolan was a part of this joke. @DanPHodges also posted this photo, with the comment, "Some dickhead with a beret talking rubbish." This is J.J. Hurtak, who has nothing whatsoever to do with the Roswell Slides, but spoke anyway. @SpatzieLover: "Last slide shown at event was the second slide." Not everyone was dismissive of the program. Michael Salla of Exopolitics.org, notorious even among UFOlogists for his willingness to accept wild claims, wrote that "The photos may finally be smoking gun evidence that an interplanetary spaceship crashed in July 1947 near Roswell, New Mexico, and U.S. military officials have orchestrated a high level national security cover-up ever since." (Salla recently was among the very few UFOlogists who took seriously President Obama's joking comments that space aliens control the USA.) But the volume of negative, snarky comments on Twitter and elsewhere about the Roswell Slides greatly outnumbered the few from those who found it convincing. 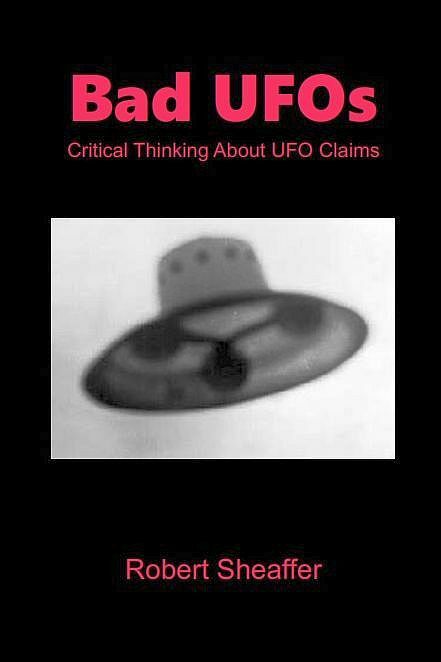 Considering the overall level of credulous belief among UFOlogists who nonetheless refuse to takes these slides seriously, and the fact that well-known UFOlogists and Roswell promoters like Kevin Randle and Stanton Friedman are among the naysayers, Jaime Maussan's UFO Slides extravaganza must be judged an #EPICFAIL. 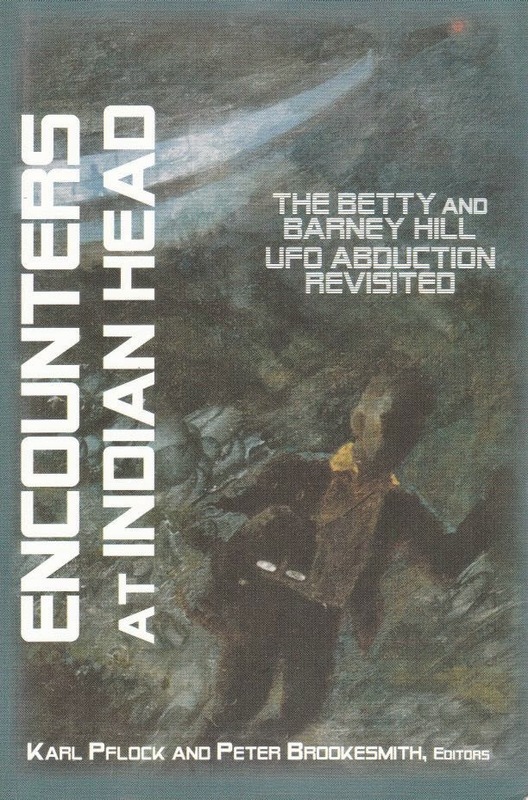 Friedman was quite correct when he stated, "I could find no convincing information that there is any connection between the slides and Roswell." 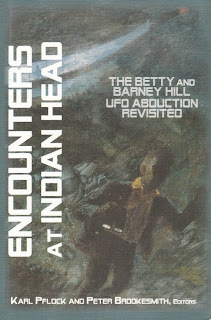 Many sincere UFO proponents are bewailing the negative effect that this fiasco will have on the public's perception of "serious" UFO research, comparing it to the much-hyped 1988 TV program UFO Cover-up Live, now remembered chiefly for its "revelation" that the aliens love strawberry ice cream. 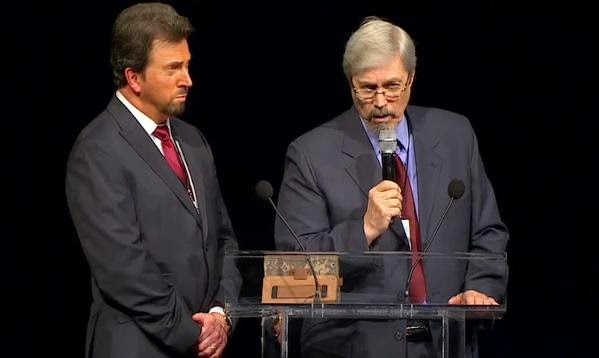 If there is any silver lining to the whole fiasco, it is Maussan's admission that "I lost about $100 thousand in the event, even though we had six thousand people in the auditorium and a few thousand watching on the Internet." Hopefully that should discourage copy-cat Roswell exploiters. Summarizing the event on Facebook, Shepherd Johnson wrote, "From what I've gathered on social media, Astronaut Mitchell was a no show, Hellyer took astronaut's place, Dolan was there but didn't speak, auditorium at 40% capacity, mostly CGI renderings of aliens, might have missed it but it looked like only one slide, glitches in the online streaming, people on twitter mostly mocking the event." This "innocent scenario" is beginning to look increasingly unlikely. On April 29 , the French skeptic Gilles Fernandez wrote a Blog entry titled "What if? 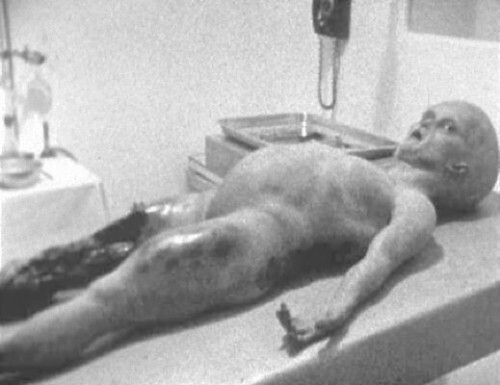 The Roswell Slides Saga as a Social Experiment or a Hoax of some sort?" In it he pointed out some obvious problems in the scenario we are given by Dew and the other slide promoters. One of the slides in the collection, supposedly in a slide frame that was only used in the 1940s, shows an automobile that was not manufactured until 1958. And the photos, also from the 1940s that are supposed to show Bernard and Hilda Ray, show individuals who are obviously decades older than the Rays would have been at that time. Some slides in the collection are compared to genuine 1940s Kodachrome slides, and the differences are obvious. Fernandez asks whether it is possible that "the set of the 400 slides was put together from various sources, maybe even from eBuyers or physical markets, and a story was concocted, and the two slides were inserted?" John Lundberg is now well-known as one of the Crop Circle makers at circlemakers.org. 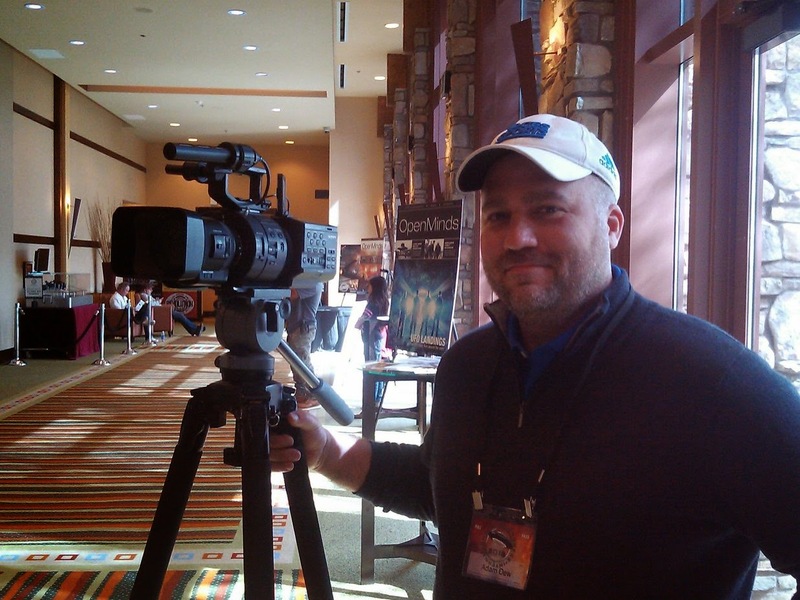 He is also the director of the documentary film Mirage Men. Based on the book of the same name by Mark Pilkington, it is a look at the purported role of government-sponsored disinformation in shaping the UFO phenomenon. I wrote to Lundberg asking for his comments on this. 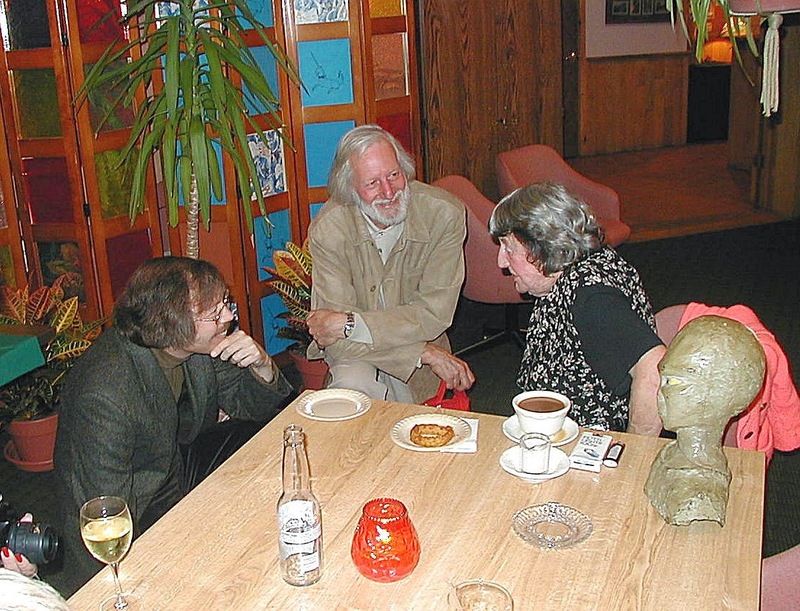 He might have replied something like, "I had nothing to do with either the Santilli Alien, or the Roswell Slides." Instead, he chose to reply in poetic and evasive terms, which I read as acknowledging that he was involved in those matters, but was unwilling to say so publicly. But one never knows what is to be taken seriously when dealing with Mirage Men.